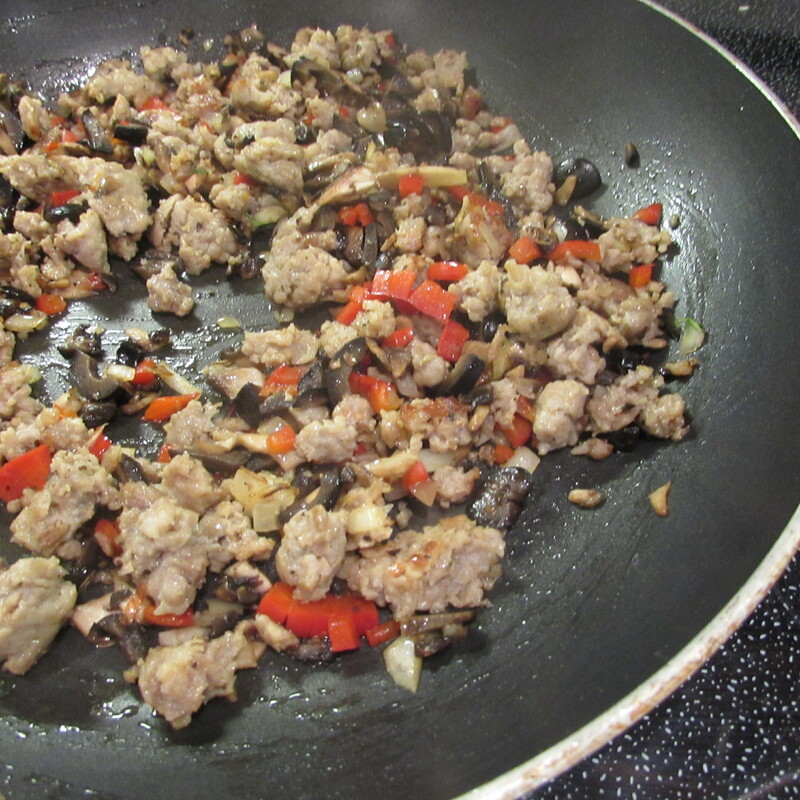 In a large skillet on medium heat, cook Italian sausage until browned (or heated, if already cooked), add in bell pepper, mushroom, black olives, onion and thyme leaves. 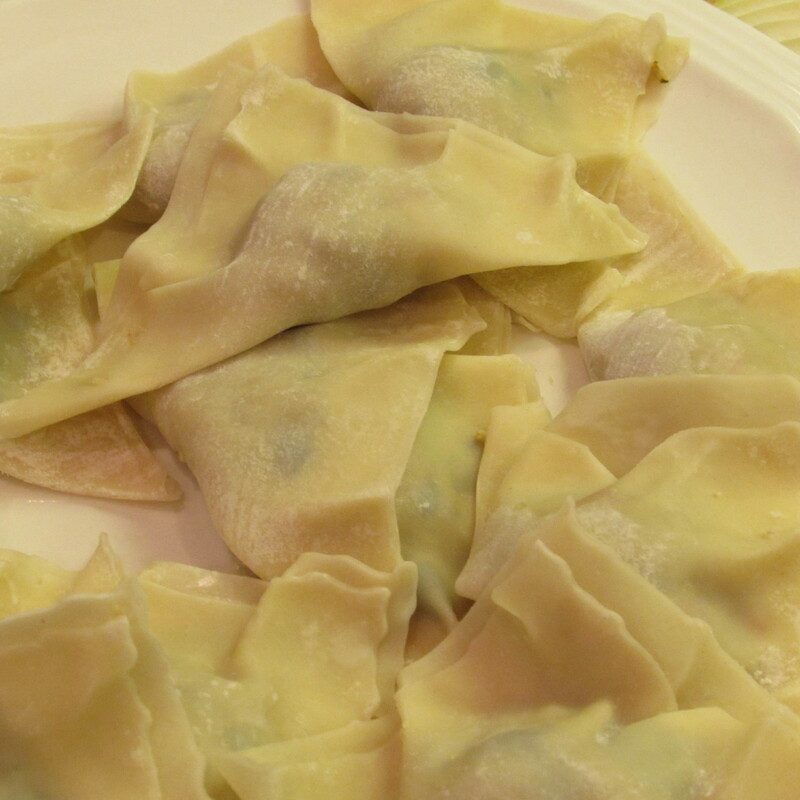 Cook for around 5 minutes or until vegetables are tender-crisp. Remove from heat. 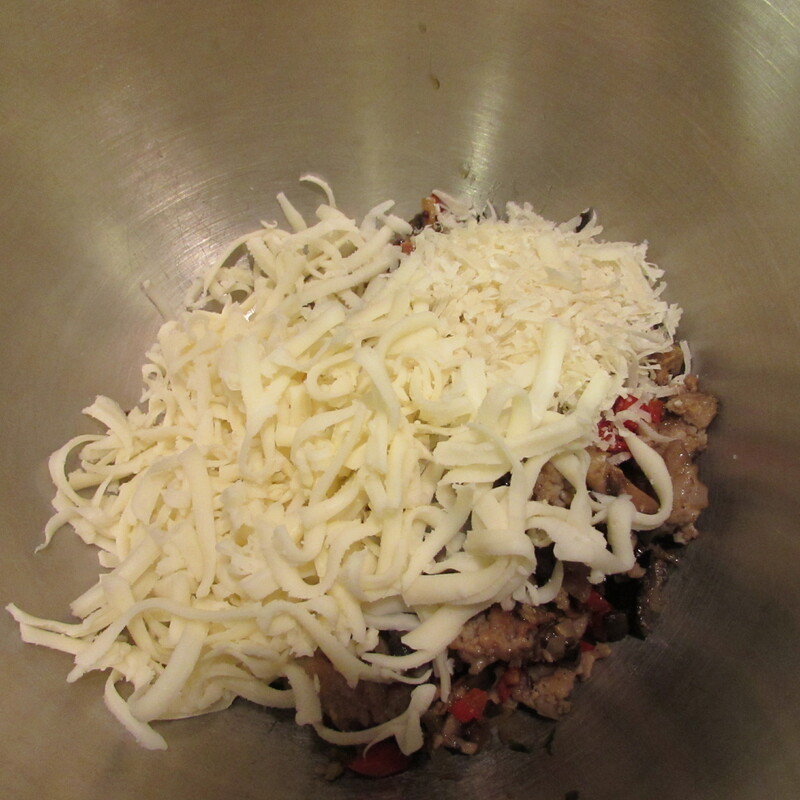 Mix meat and vegetables with parmesan and mozzarella cheese until mixture begins to stick together (around 3 minutes). 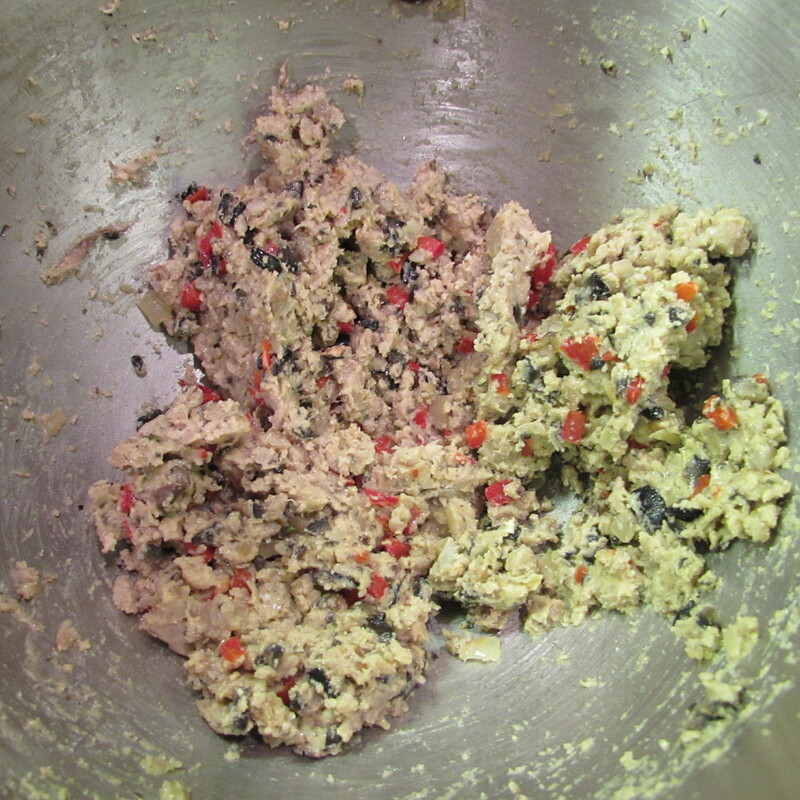 Drop mixture by heaping teaspoon onto wrapper. Brush edges with water and press to seal. Repeat. Preheat large skillet to medium heat. 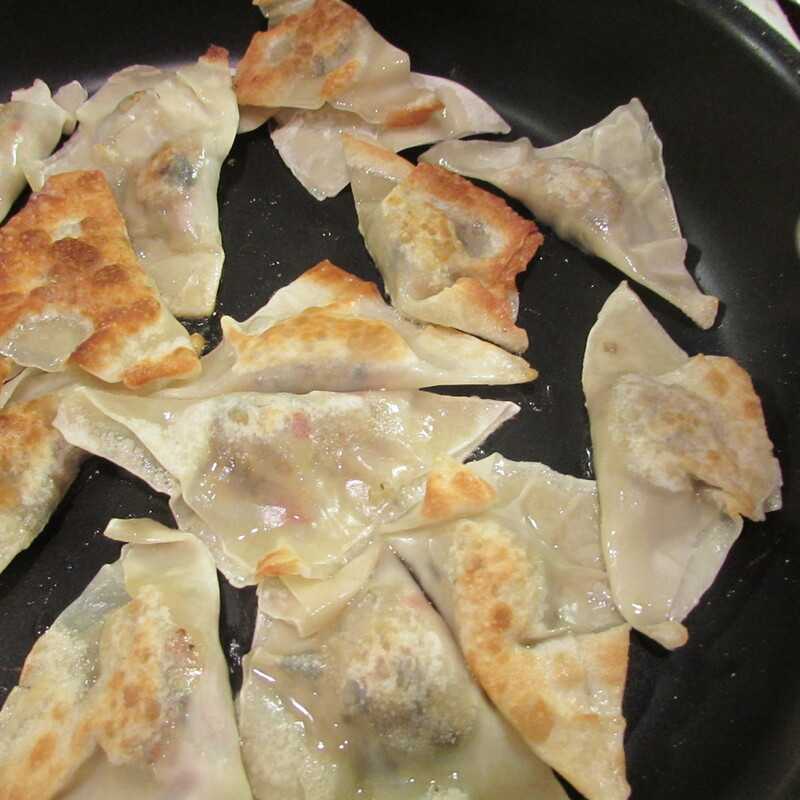 Drizzle oil in pan and put in several dumplings. 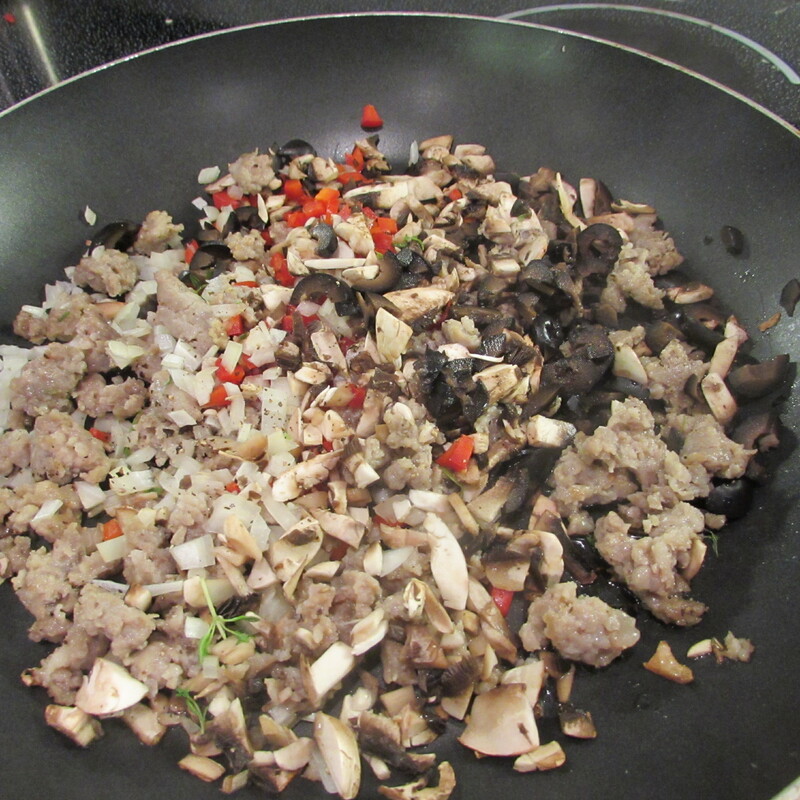 Cook for around 1 ½ minutes, flip and cook for another 1 ½ minutes. Skins should look blistered and slightly browned. Pour ½ cup water in the pan and cover to steam around 3 minutes. 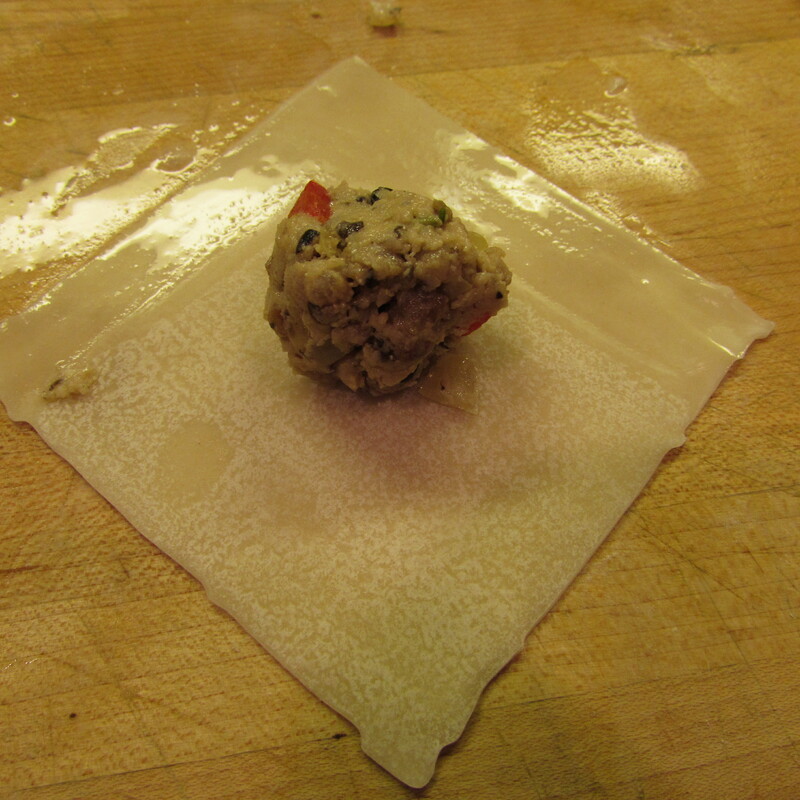 Remove lid and allow to continue cooking until most of the liquid is evaporated. 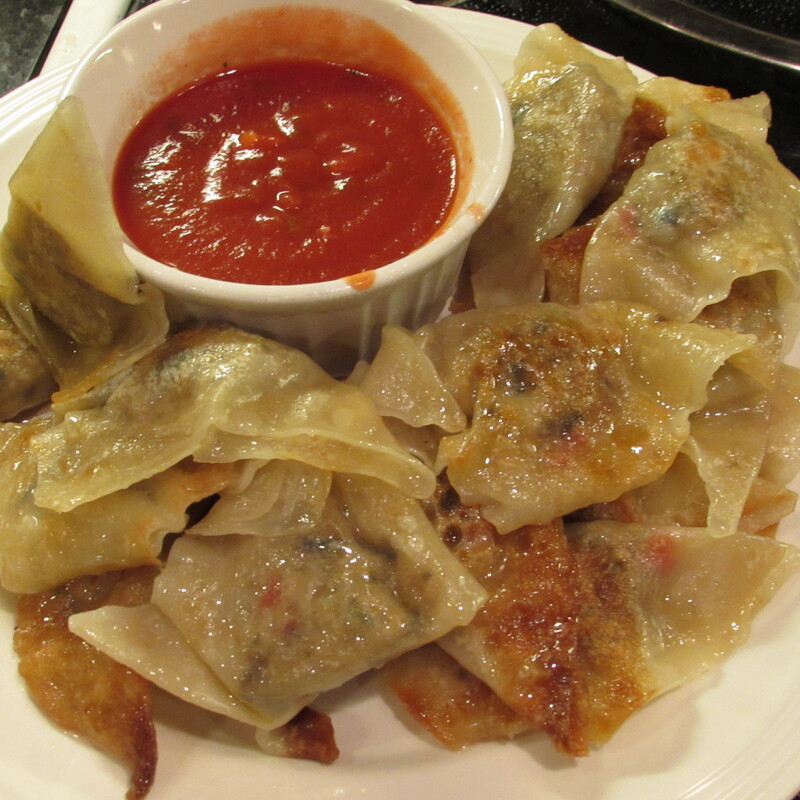 Tags: appetizers, food, fusion appetizers, fusion food, how to cook pot stickers, pizza appetizers, pizza pot stickers, pizza potstickers, pizza wontons, pot stickers, what to do with pizza leftovers, with images, wonton wrappers. Bookmark the permalink. yoy know, I balked a bit as I read the title but it does sound good. 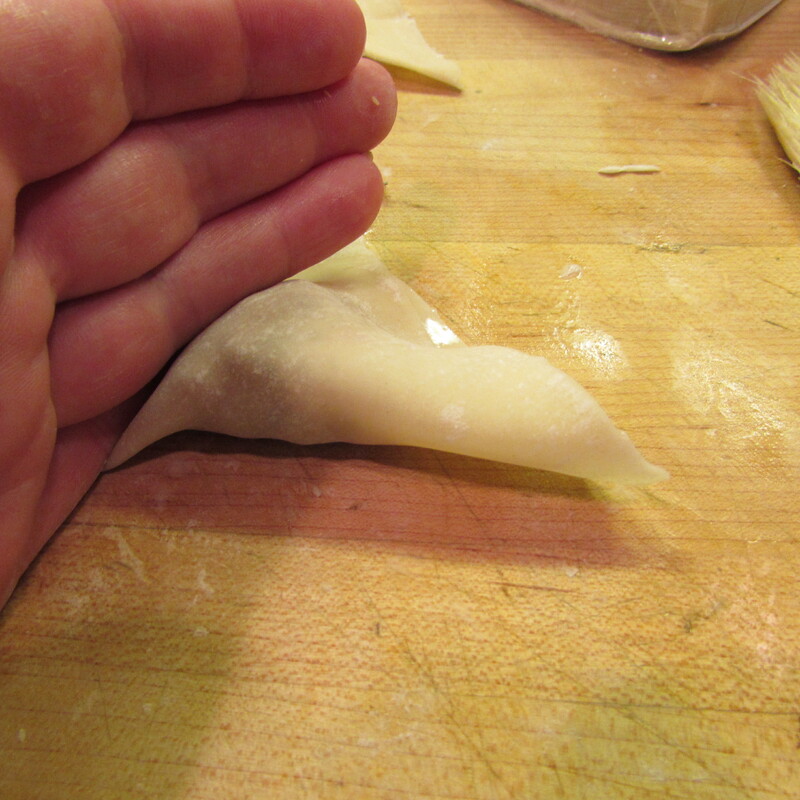 I make “Italian egg rolls”. They include Italian sausage (cooked in black pepper and balsamic vinegar), shredded purple cabbage, shredded carrots, lots of garlic, ginger and onions and glass noodles. Sometimes, when I remember J add black and white sesame seeds. 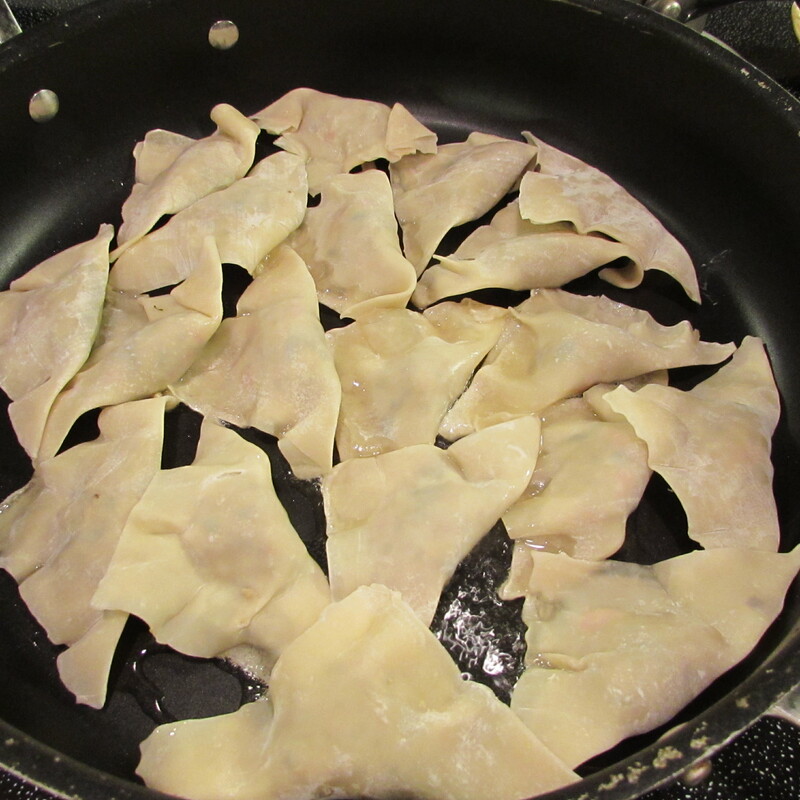 Toss and fill egg roll wrappers, fry. 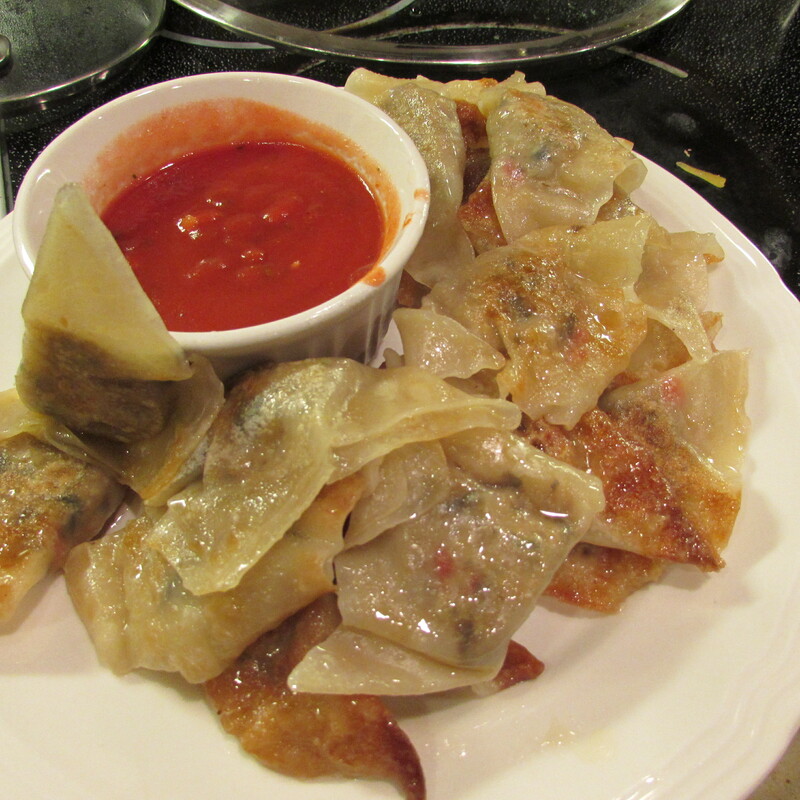 Serve with soy sauce or sweet chili sauce. Pretty amazing. Hey you! How you been??? Thanks for the awesome idea! I’m going to have to try that. Stay tuned-they will be coming to a blog near you.